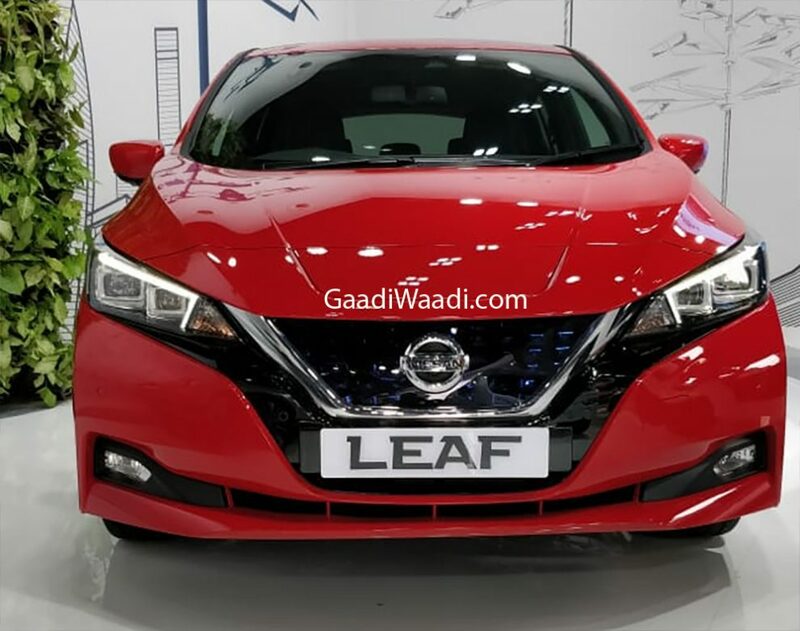 Earlier this year, Nissan India’s President Thomas Kuehl confirmed the arrival of Leaf electric vehicle for the domestic market. Ahead of its commercial launch next year, the globally top-selling eco-friendly vehicle has made its appearance at India’s first-ever global mobility summit, MOVE, in New Delhi today as manufacturers took the opportunity to showcase their advanced technologies. Expected to be sold in limited numbers, at least initially, the Nissan Leaf is believed to cost around Rs. 40 lakh. It will follow the introduction of Kicks SUV as the Japanese brand looks to strengthen its premium offerings in India with the main brand and appeal for high volume customers with Datsun in the near future. The latest generation Nissan Leaf is a complete contrast to the previous model as Nissan took the competition a step above by overhauling the exterior, interior, features packed and apparently with much-improved driving range. It boasts innovative technologies like e-Pedal driving that uses regenerative braking to accelerate, decelerate and stop the vehicle with the single pedal. Other important safety and assistance tech includes Intelligent Around View Monitor, Lane Departure Warning, Intelligent Emergency Braking, ProPILOT and single-lane autonomous driving tech, Intelligent Lane Intervention, Traffic Sign Recognition, Rear Cross Traffic Alert, and Blind Spot Warning among others. Offered in two battery options, the Nissan Leaf builds on the success of its predecessor. It uses a 40 kWh lithium-ion battery pack linked to an electric motor developing 147 horsepower and 320 Nm of peak torque with the EPA-estimated range of 150 miles (242 km) in the US while in European it is rated to have 235 miles (378 km) cruising range. The battery charging time is 16 hours via a 3 kW plug and 8 hours on a 6 kW plug. The quick charging facility helps in recharging up to 80 percent in just 40 minutes. Hyundai has displayed its Nexo FCEV and Kona EV in the Summit and the latter will also grace the market in 2019.